As foreign imports come into question with possible tariffs, certain US exports continue to be in big demand worldwide. As much as Americans enjoy inexpensive foreign imports, many foreigners enjoy expensive American made products. 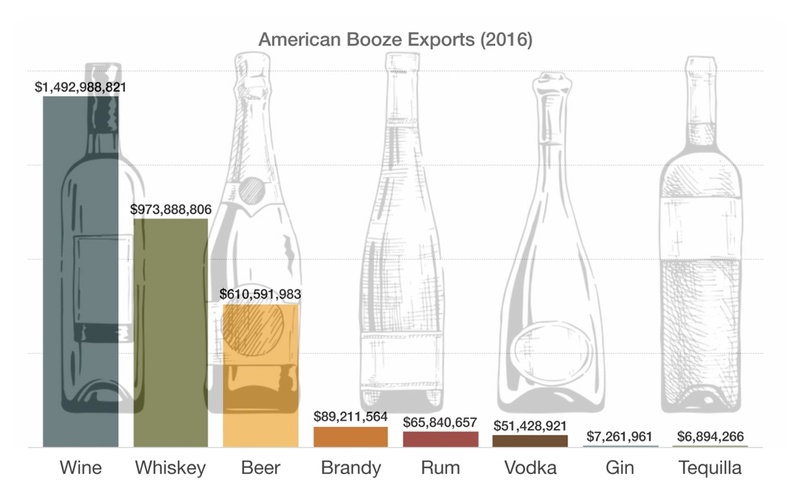 U.S. wine makes its way primarily to the UK, Canada, Japan, and Italy, while American beer is most popular in Chile, Australia, Canada, Sweden, and Mexico. U.S. whiskey has become an absolute favorite in Japan, Spain, Australia, and Germany.